Help Needed Dec. 8 Unit 23 Cow Hunt!!! Tom, Since we talked yesterday, I have an offer for land to park trailers on, and several offers to help cook and take the veterans out for hunts, including one guide. We still need lodging, a travel trailer or two would be nice. Here you go guys......... A.R.S.§ 17-371(E) states, "heads, horns, antlers, hides, feet, or skin of wildlife lawfully taken, or the treated and mounted specimens thereof, may be possessed, sold and transported at any time..." Wildlife hit by a motor vehicle is not considered to be lawfully taken, with the except of big game meat as prescribed under A.R.S.§ 17-319. This restriction is necessary to protect Arizona’s wildlife resources and any change related to it would create a loophole for an individual to possess the parts of wildlife without the necessary evidence of legality (license, tag, seasons, etc). Please keep in mind that in nature, little is ever wasted and there are a host of animals that survive by recycling other animals that have died in the wild or on the roadway. (! !SOLD Pending Pick Up!!) For Sale or Trade: H&R Single Shot, Youth Model .243 3-9x32 Bushnell Sportsman scope $350 OBO or Trade for a Rangefinder or ? Our kids have outgrown this rifle after harvesting 2 Cow Elk (1 @ 80yrds & 1 @ 150yrds) and 1 Mule Deer @ 100yrds. All one shot kills. If interested or have questions comment, message or text 928-238-0094.
who uses a GPS collar with their dogs? I love mine! We use our Alpha 100 and TT10 collars every day. Definitely helps keep track of where your dogs are and what they are up to. The range is pretty good and you can add up to 20 dogs to it. 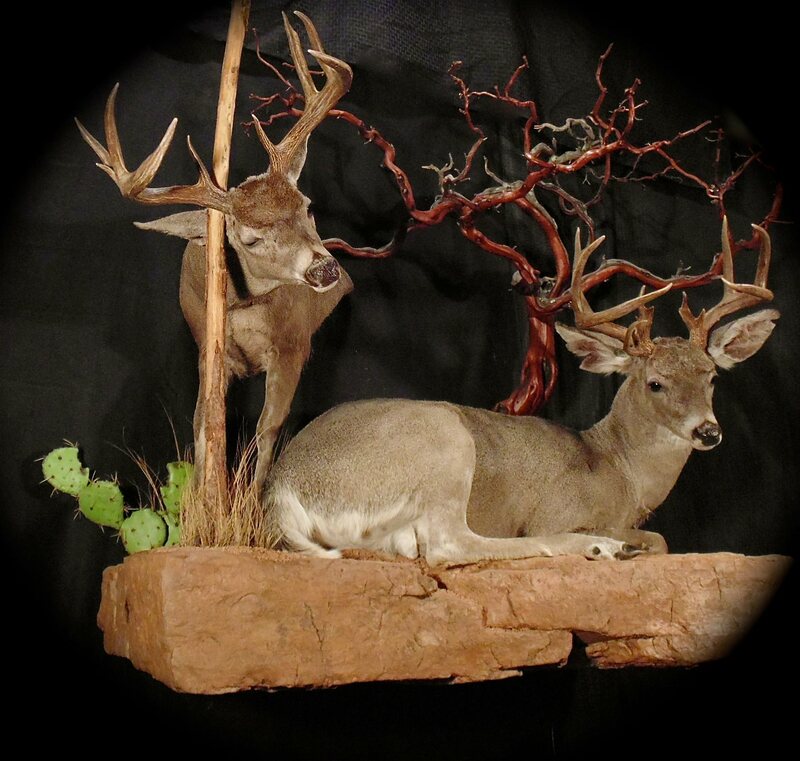 Looking for a replacement cape for this mule deer buck, if you have one from a buck close to this size please send me a PM, call or text with pictures and price. 928-238-0094. We are always looking for our Hounds, any old or freezer burned meat we will take before you throw it out. ISO Unwanted old or freezer burned meat. The dogs don't like it and I don't like to feed canine to canine.